Czero and Gamma Technologies have joined forces to offer their customers reliable advanced simulation services based on GT-SUITE. These services are based on the experience that Czero has developed over many years of providing consulting support to the industry. Czero’s experienced engineers use GT-SUITE/GT-POWER—and a full portfolio of advanced tools—to model engines of all types, sizes and fuels as well as systems for powertrain/propulsion, thermal management and hydraulics. 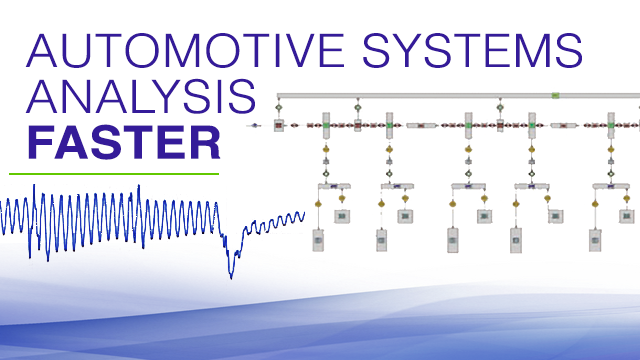 Industry standard for OEMs and Tier 1 suppliers, GT-SUITE has proven exceptional for developing detailed hydraulic component designs and modeling fast transient system/subsystem effects. Extending the innate power of GT-SUITE, for efficient in-depth analysis of a specific component in the context of a complex system, we can run co-simulations using CONVERGE for CFD and GT-SUITE for systems-level modeling. Additionally, Czero uses computing clusters to process massive data sets while keeping turn-times low for high-quality, complex simulations.